Well I have been meaning to post for a few days but I have been to busy. Anyways my detecting time hasn’t been huge but when I got out the hunt was worth it. Miner and I drove into Northern Oklahoma on Sunday and hunted with a friend who’s family farm is down there. We started our hunt on a chilly morning with the North wind not letting up. The first site was an old school house that was surrounded by plowed farmland. I was swinging the Ace250 with the 5×8 coil (not intentionally, I had forgotten my bigger coil in the truck).. The hunt started slow until our host found 3 pennies which I believe were all wheat cents. My first finds were bullets and miscellaneous garbage. The first solid coin signal I got I dug.. Kind of. My trusty little Ace told me there was a coin at two inches. It was close to being honest as the coin was on the surface. 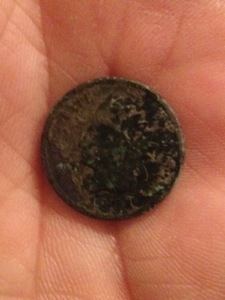 I cleaned it enough to tell it was a 1901 Indian Head cent. 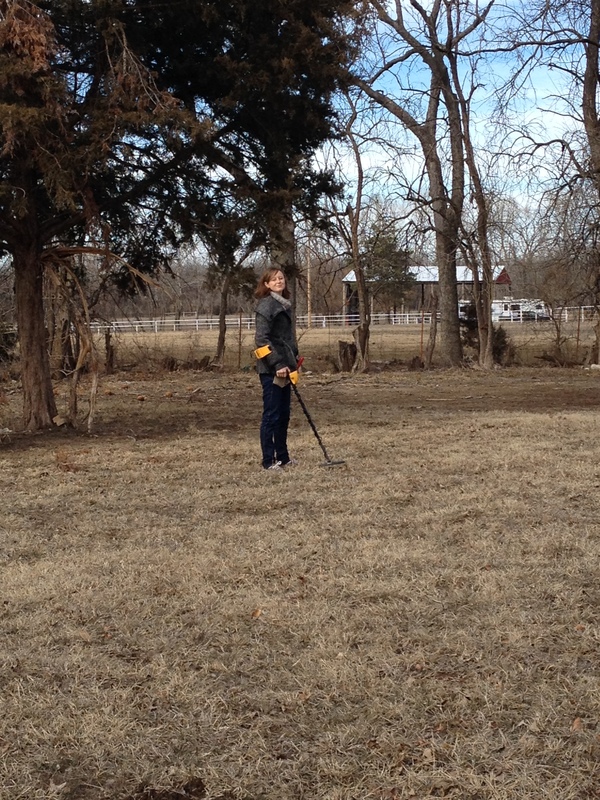 After we finished at the school we went looking for a homestead that had long been gone. 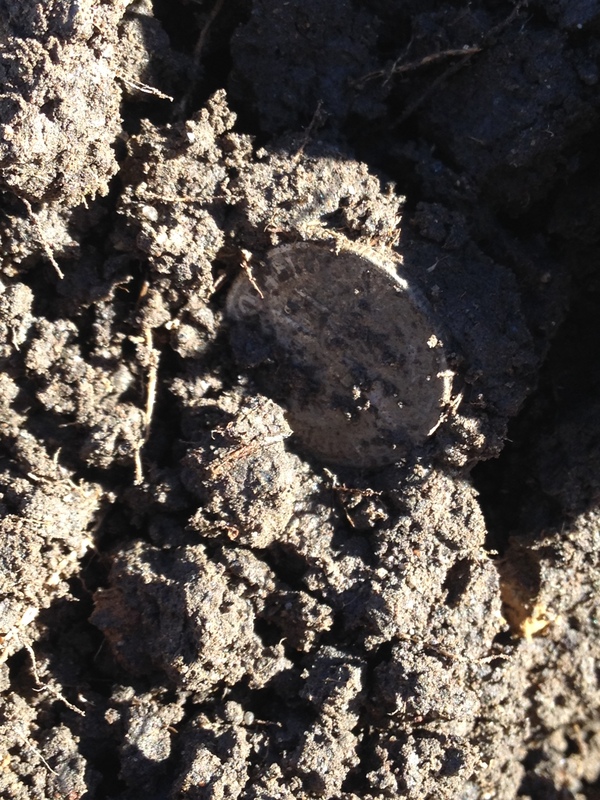 It didn’t take us long to find the old yard among the stubble and I found a wheat cent. Monday night I decided to clean out the pouch and found another item that I had put in the trash side of the pouch. I’m glad I looked through it again. 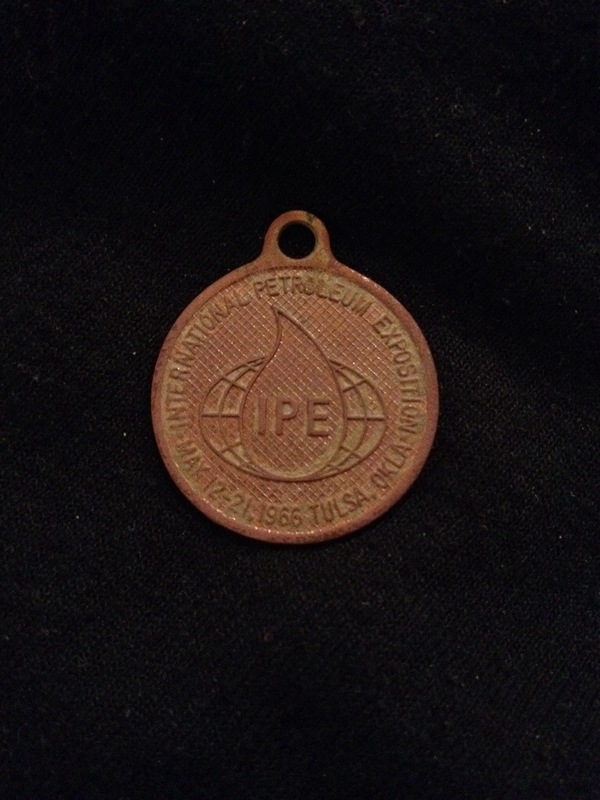 This is a pretty cool relic once you read the full story of the expo here. You know what they say about the size of a man’s coil? Tonight I want to write about the last 2-3 days worth of metal detecting. I spent the biggest part of Saturday at Lego Robotics trial day with two Ukena boys and our exchange student from a couple of years back. It was fun to see the kids building, failing, rebuilding, and making progress on their robots. After we all got home I decided to go detecting at the bankers house I wrote about in Monday Eve Mojo. I was getting ready to head out the door when Miner texted me to see if I had gotten out yet. I told him no and we decided to hunt the bankers house together. He previously found an Indian and a Buffalo at the site. We got to the site and noticed that the landowner had cleared a few trees that really opened up some new detecting areas. I was super excited to try this site with the little 5 x 8 coil that is on loan from one of our club members. We dug a few relics and many, many square nails but neither one of us were able to get our coil over a coin. Well, I have to retract that statement. I am certain we got our coil over coins but they were cleverly disguised as square nails. This site is possibly the most iron infested I’ve seen. I think by the time we were finished I had dug 20-30 square nails of all sizes. I could definitely tell that the little coil helped with target separation and didn’t lose much depth in comparison to the 8×11 coil I typically have on the Ace. Sunday I found myself at the circus with the family for a few hours. After the sensory overload that comes with the circus I was ready to go detecting. I invited Paula to go with me and she decided to give it a shot. We detected a home site which held a home a couple of years ago but was recently torn down. The home was from the mid 40’s I believe. I was hoping to find some AG but instead I finished the hunt with a couple of pennies and a full pouch of miscellaneous bullet casings and home parts. This was definitely not a clean demolition job but we had fun none the less! Paula, swinging the Garrett Ace 250 with the cute little coil! If I ever make it to Munich to visit her I will definitely have a detector in hand! On Monday I had the choice of going to the pool hall and playing snooker or getting out in nature on a beautiful day and detecting. I went detecting. 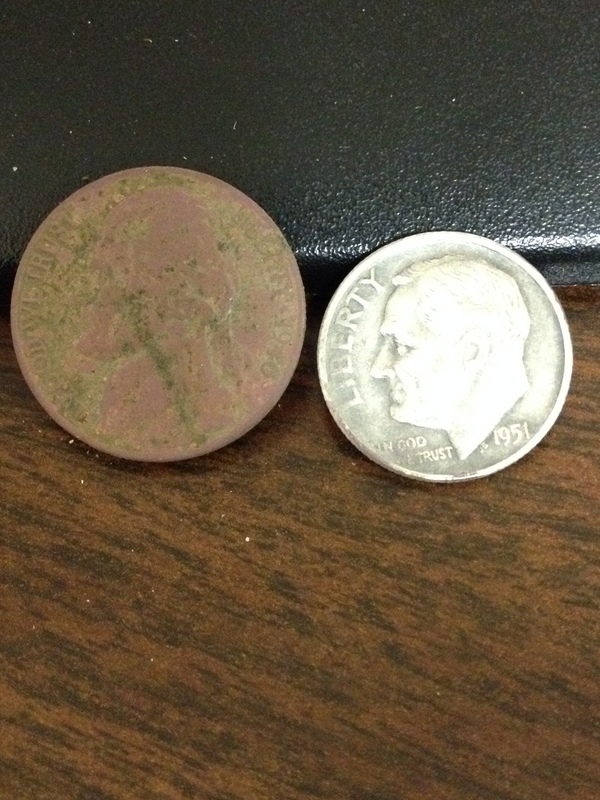 I chose a site that I hunted quite a bit last year and that yielded three silvers for me and a few wheat pennies. I was detecting along not finding much with the little coil when I remembered a little detail. There was a sidewalk that didn’t have rebar in it that had been filled over. I quickly started working the little coil along the edges of the buried walk and coins started showing up. I dug a few Lincolns from the 70’s and a clad dime from one side of the walk. Once I turned and headed up the other side of the walk I was blessed with my first silver of the year in the form of a 1951 Roosevelt dime. I was very pleased to see this because I feel like I was getting off to a rough start in regards to the silver. 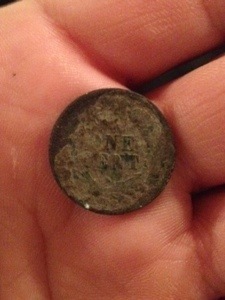 The hunt continued and I quickly found a 1940 Jefferson Nickel. It was deeper than the dime so I was hoping for a buffalo but this one was just a few years too young. So back to the question I posed in the title of this post… I say it doesn’t matter how big it is if it get’s the job done! Ready, steady, melt and dig! Well since we have been snow covered for the last week I haven’t been out detecting. However that is about to change.. If you believe the meteorologists. They are calling for 2-3 days of 40’s and 50’s this week and temps up to 60 this weekend. I am ready to get back in the field! I know it will be a wet, soppy, mess but I’m perfectly ok with that. I know there has been quite a bit of controversy regarding halo’s around targets and how moisture affects our hobby. I have never really shared my opinions but here it goes. 1. Halo effect- I think the halo effect does happen. You may be asking yourself what the halo effect is. To simply put it this is where minerals from miscellaneous metal leach out into the ground around the object. I have noticed this especially with iron targets that are deteriorating quickly. I don’t think it has the same affect on silver due to it’s non-ferrous characteristics. 2- How does moisture affect our machines- I seem to find more good targets when there is moisture in the ground. I believe this is because of two things. I think that transmitted signal of our machines travels farther in moisture. This seems quite common sense to me. Everyone knows that radio waves travel better under water and that is exactly what we are transmitting.. Radio Waves. My other thought is that if you get enough moisture in the ground it breaks up the halo effect mentioned above. I believe that this allows my machine that isn’t super fast to see targets more individually and clearer. After boiling all this down these are just my opinions and I haven’t done any scientific research other than hunting spots that I have previously only hunted in dry conditions. I have one local spot that I have referred to on the blog as the bankers house. I am hoping that the moisture and borrowing one of our club members 5 x 8 DD coils will help me find some goodies at the bankers house this weekend. 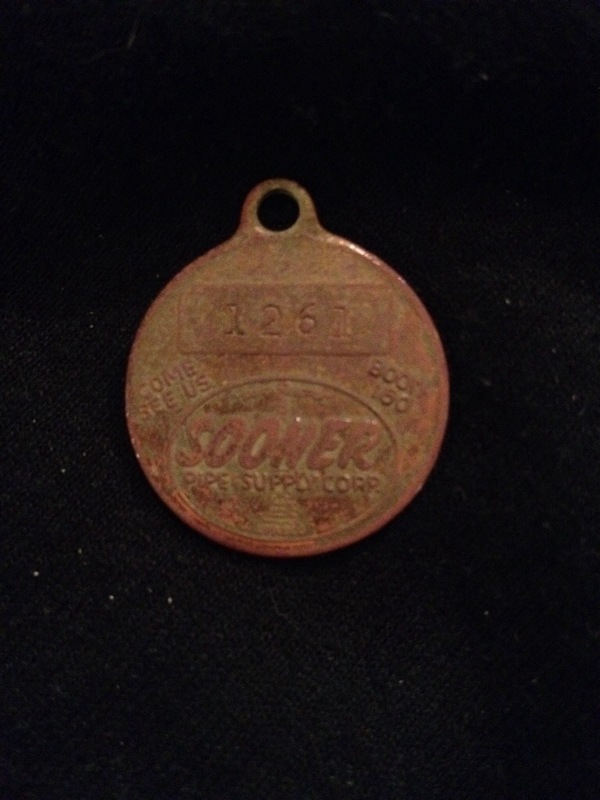 On that note during the Wheat State Treasure Hunters class we had a couple of people from my hometown attend and I am planning on inviting them along on my hunt. We have pulled a few good coins out of the place and I am certain there are more coins hiding under all the square nails that are there. I have dug more square nails at this site than any other site I have ever hunted. My closest guess is 150.. I keep plucking away at them though. Maybe this weekends hunt will be when all of my fruitless hunts there will pay off. I would love to hear what other MDer’s think about moisture and the halo effect. Bring on the opinions! Well this week has been a whirlwind. I haven’t been detecting due to ol man winter dropping around 8 inches of snow on us. I’m ok with that because this week I have plenty of other stuff to do. About 3 months ago I made plans for the Wheat State Treasure Hunters to do a class with the city on the first Saturday of Feb. We discussed the weather and I figured we would have cool temps. I wasn’t planning on this snow. Luckily I believe we have a couple of guys who came to our rescue. At our last meeting we had 2 guys present us with a test tub that we can place items at different depths and see how your detector performs. We will be using this for our class this Saturday. I was totally surprised to learn that our class is full with 20 students. I was not expecting this class to be full but I am excited that they will be attending and learning with us. I have to say that when we went into our first class we were uncertain of the response we would receive. Through feedback from our students I feel like class will be better this time around. As a club we have mentioned doing a second level class that would dive even deeper into the hobby. I still have quite a bit of work to do for this class but I don’t mind because I had a blast last time and I am certain Saturday will be even better. While working on getting literature to hand out for this class I had an Idea that we could also help out dealers who service our region. I think this will be great for the club, dealers, and students. I have a few ideas that I will be presenting to our local dealers. I think we can build some very good relationships which will not only help our club but that will also help build our hobby in the future. If you are involved with a detecting related company and would like us to promote your business shoot me a message and we will figure out how to make it happen!